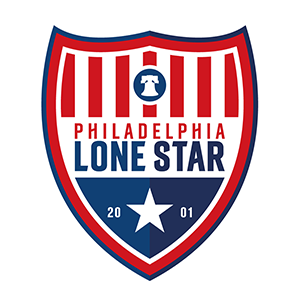 Former U-19 Head Coach Thomas George Appointed First Team Assistant Coach | Philadelphia Lone Star F.C. PHILADELPHIA, PA – The club is pleased to announce that former JLS U19 head coach Thomas George has been appointed as Assistant Coach of the First Team. Born in Monrovia, Liberia, the 29-year old George, like head coach Fatoma Turay, started playing for Junior Lone Star FC in 2001 when he was just 13. He went on to play for the U19s, U23s, and briefly for the First Team. A graduate of Radford University, George played for the Highlanders in several games as his collegiate season was blighted by injuries. While in High School, he earned First Team All-Region C, First Team Three Rivers District, and Second Team All-Group A honors as a junior at Giles High School in Virginia. He was also part of a district championship team his freshman year at Upper Darby High School in Drexel Hill, Pa.
Coach T, as he’s affectionately called, made his coaching debut in 2012 with the club’s U19s and a year later made history when they won the 2013 USL Super-20 Mid-Atlantic Conference title and made two successive appearances at the USL Super 20 Nationals in 2013 and 2014. He was instrumental in the development of several key youth players like Derrick Jones (Philadelphia Union), Joseph Aidoo (TSV Oldenburg), Lamine JB Conte (Reading United AC PDL), Trey Mason (Lehigh Valley United PDL), Mohammed Konneh (West Chester United), Marco Bla (Philadelphia Union Academy) as well as Vlandy Eric Slueue, Siafa Kamara Dempster, Mohamed Tall, Sekou Konneh, amongst others who are now on JLSFC First Team and/or the U-23s. Coach T had to take a three-year coaching hiatus at the end of 2014 due to personal reasons and will now be returning to his childhood club to assist Coach Turay in the National Premier Soccer League. Thomas George currently holds USSF National D License and also works with Next Gen as Player Psych Development director. Meanwhile, first-team players are expected to arrive for pre-season training in Philadelphia on Monday, March 12th as the team gears up for the 2018 National Premier Soccer League (NPSL) season which starts in May.